Take in the views from a terrace and make use of amenities such as complimentary wireless Internet access and concierge services. Additional amenities at this hotel include a hair salon, shopping on site, and a television in a common area. Enjoy recreational amenities such as a sauna and bicycles to rent. Additional features at this hotel include complimentary wireless Internet access and concierge services. 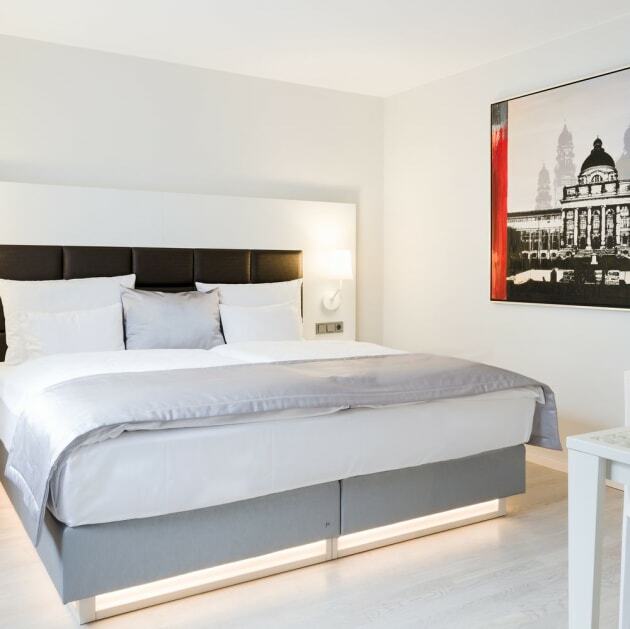 The contemporary 4-star Eurostars Grand Central sits in upcoming area of Arnulfpark, to the west of the Munich, and has excellent public transport links into the heart of the city. 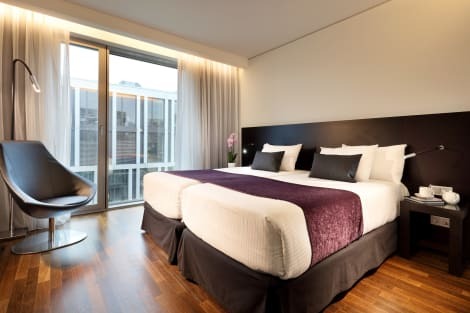 Enjoy Mediterranean cuisine at Red, and local Bavarian flavours in the bar, or chill out in style in the sauna, steam room, gym and indoor pool. Each wooden floored room has a flat-screen TV with cable channels, complimentary wifi, and a private bathroom. 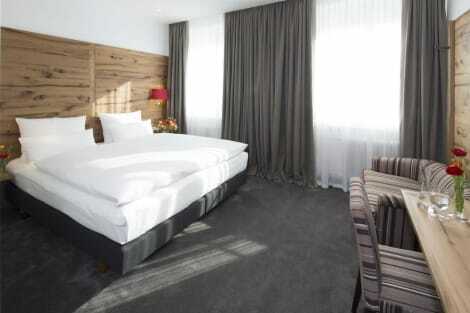 This design hotel is conveniently located near Munich's central station and Theresienwiese - the home of Oktoberfest. The on-site spa is a great place to unwind, with a sauna, indoor heated pool and fully-stocked gym, and free wifi is available throughout the hotel. Among the comfortable facilities in your room are a flat-screen TV with satellite channels, air conditioning and a private bathroom with tub.